TOKYO (Reuters) – Japan and China signed a bilateral currency swap arrangement on Friday aimed at enhancing the financial stability of the two countries, the Bank of Japan said. The arrangement, which takes effect on Friday and lasts until Oct. 25, 2021, will allow the exchange of local currencies between the two central banks for up to 200 billion yuan or 3.4 trillion yen ($30 billion), the BOJ said. 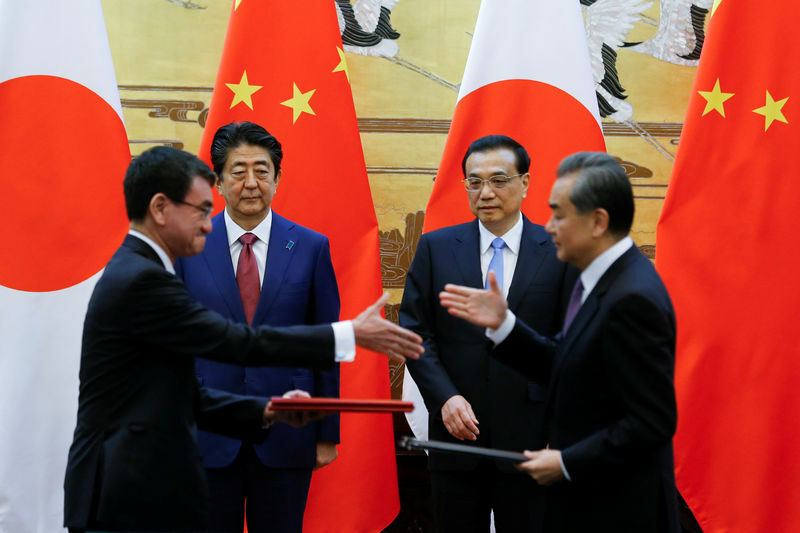 The agreements were signed during Japanese Prime Minister Shinzo Abe’s visit to Beijing for the first formal Sino-Japanese summit in seven years, as Asia’s two biggest economies looked to further build relations and trust against a backdrop of trade friction with the United States.